Home ⎢Are fisheries directing the evolution of fish populations? The relentless pursuit of consumer-friendly fish product is having a massive impact on fish populations around the world. For many of the types of fish we buy in stores or order in restaurants, the chance that an individual dies from fishing is several times higher than dying of natural causes. This may seem obvious to most (they had to get to our table somehow), but what may not be apparent is that the relentless pursuit of consumer-friendly fish product is having a massive impact on fish populations around the world. By repeatedly choosing only the biggest fish, or only those found in certain habitats, the fisheries industry may be permanently altering the genetic composition of fish populations. What are the long-term evolutionary implications of prolonged fishing for the fish that humans and, perhaps more importantly, diverse ecosystems so depend on? A group of concerned international scientists convened at the 2008 American Fisheries Society Annual Meeting to address this issue, and contributions to the symposium are now available online in an August 2009 special issue of Evolutionary Applications. Several groups of scientists focused on teasing apart how much of the shift in fish morphology, development and behavior that has been documented over the years is due to genetic versus non-genetic changes. Long-term genetic changes may be more problematic since these may not be reversible and they make predicting the composition of fish stocks in the future very difficult. Equally contentious among scientists was distinguishing between changes that were caused by artificial selection due to fishing per se, versus environmental influences such as habitat destruction or climate change. The articles in the special issue use multiple approaches to address these concerns and together come to the conclusion that in many cases, fish stocks are indeed evolving in response to the artificial selection pressure imposed by fishing. Shifts in yield-determining traits such as growth and maturation are evident, and how quickly these changes manifest depends on the type of fishing gear and the rate of harvest. 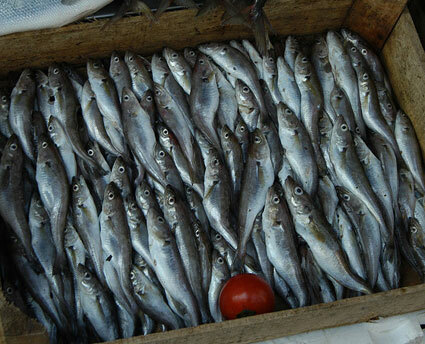 Given the uncertainty surrounding the future sustainability of wild fish stocks, fisheries evolution scientists make several key recommendations: protect a portion of the stock through the creation of non-fished marine protected areas, protect late-maturing and slow-growing individuals, and perhaps the most difficult but most effective: fish less.